My skin if often quite dehydrated, this is due to a combination of my genetics and an inability to manage to drink the daily recommended amount of water the body requires (around 2 litres). Every time I have a facial the facialist confirms this. So in an effort to combat the dehydration, I use a lot of moisturising products. 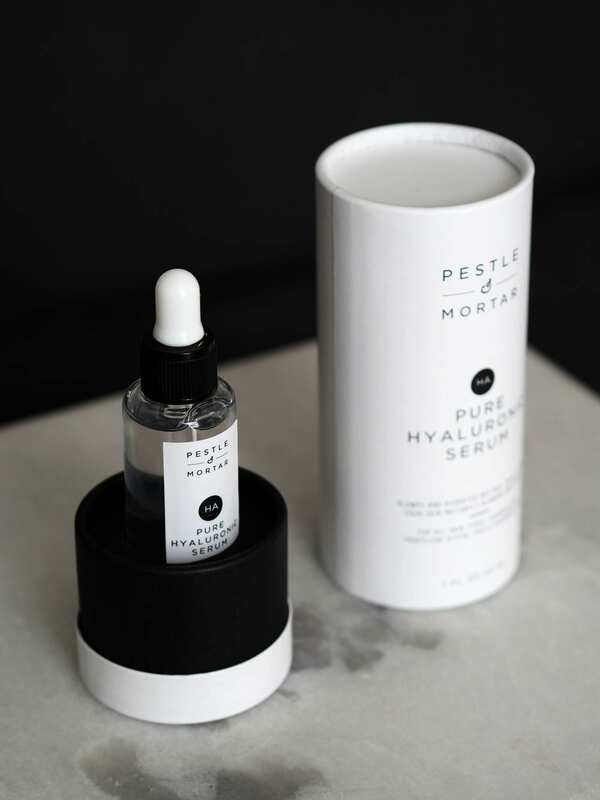 Lately I’ve been trying out a new product, Pestle & Mortar Pure Hyaluronic Serum. Its active ingredient is sodium hyaluronate, the salt of hyaluronic acid. Now for the science bit, it has a smaller molecular size than hyaluronic acid which means it can penetrate deeper into the skin. It’s been designed to target fine lines, dullness and dehydration. Those with sensitive skin can use it too, it can even be used on the delicate eye area. 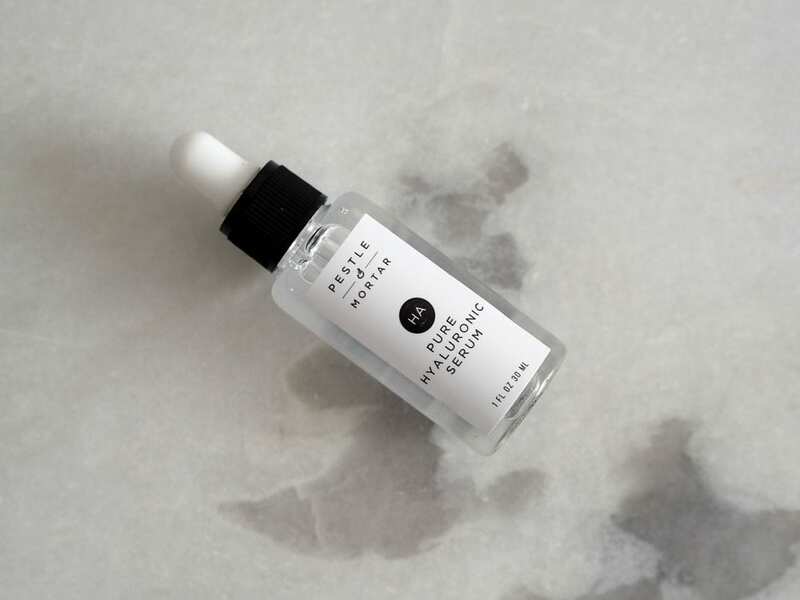 I’ve been using Pure Hyaluronic Serum as the first step in my beauty regime, after cleansing. 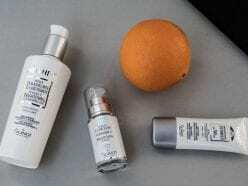 I then layer on an oil based serum and a moisturiser, both morning and night. 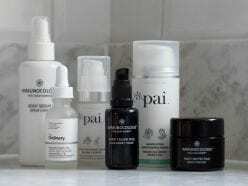 It may sound like a lot of products but I let each one sink in a little before adding the next layer; the Pure Hyaluronic Serum sinks in quickly. I can honestly say that my skin has been looking and feeling much better for this routine.